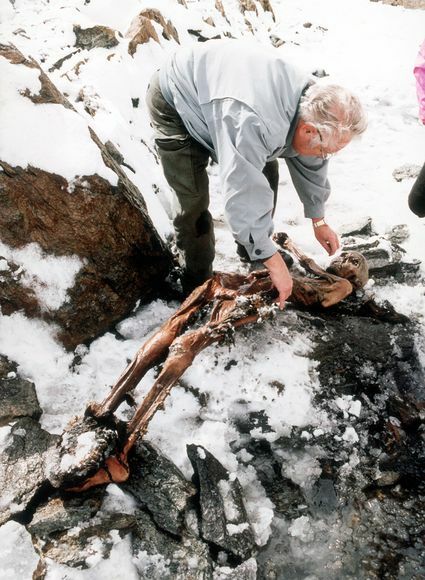 Otzi the iceman was discovered in the Alps in September 1991. He had been buried under ice for over 5000 years. We can learn a lot about what is needed to survive by looking at what he had with him. Otzi’s kit would see him through all of these things, and yours should as well. First Otzi had a flint knife and copper axe. You should start with a good knife. You can do so many things with a knife that it should be your first priority. Add a small axe and you can put together a shelter to keep you warm in very little time. This is important because you have only three hours of exposure before you are in danger. Most people who die in the woods do so from exposure. Otzi carried a birch container full of fresh leaves … this was used to store embers of a fire in order to rekindle it whenever needed. You also need some way of making a fire. A flint and steel, waterproof matches, a lighter, fire-piston or some other way of starting a fire is very important. Always have more than one way if possible. Fire can act as a shelter to keep you warm. Otzi had a net made from tree bark. Cordage can be used for building a shelter, snares, bowstrings, and any number of other uses. A modern type of cordage is paracord (parachute cord). Paracord is handy because it can be used as is for a medium strength rope or taken apart with the fine inner cords for light projects and the outer sheath for heavier duty things. Otzi had a pack frame made of Hazel wood. You should select a modern pack that will carry your kit and be comfortable to carry. It should also not be overly large. If your pack gets too big you will be tempted to leave it behind when you are out and about. If it stays in your truck it won’t do you any good. Believe it or not Otzi had a first aid kit. He had fungus from birch trees which have antimicrobial effects these are still used in some parts of the world. You should have some sort of first aid kit in your kit. 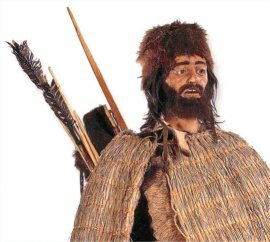 Lastly Otzi had a blanket made of woven grass, to keep rain out and warmth in. You should try to find a small tarp that will fit your needs. If all else fails get yourself a mylar space blanket or even a black plastic garbage bag. Otzi spent his whole life surviving what would kill most modern humans. If we look closely at his everyday items we can learn something of what we will need to survive an emergency.